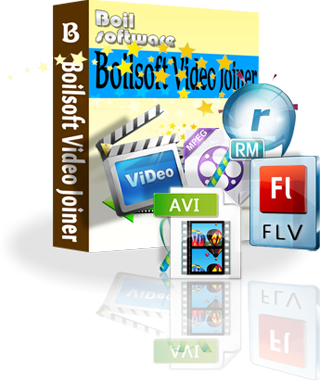 Boilsoft Video Joiner is a powerful video merger to join AVI, MPEG, MPG, VOB, RM/RMVB, 3GP, ASF, WMV, WMA, MP4, MP4A, MKV or FLV files, etc. to one "non-stop" larger file. 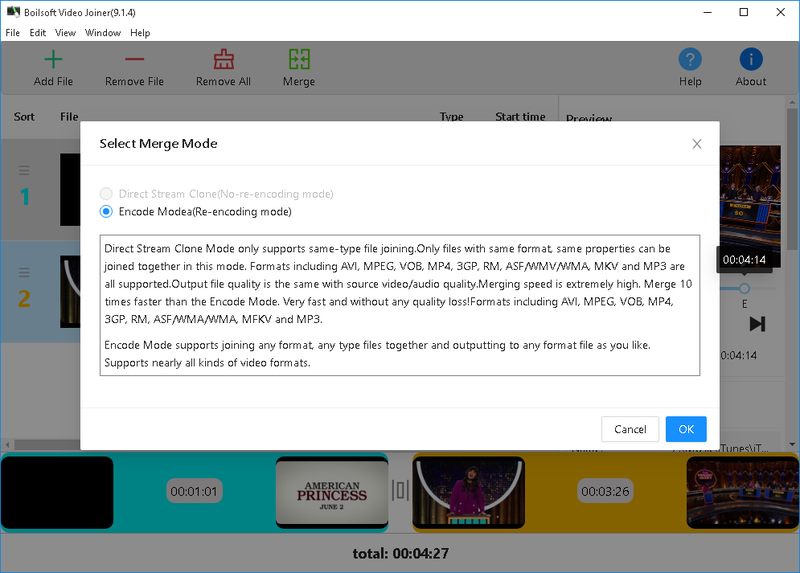 Boilsoft video joiner provides you with Direct Stream mode and Encode mode to merge your videos more efficiently, and supports joining different format videos together at super speed. Direct Stream Clone Mode joins same type files without re-encoding, very fast and without any quality loss. 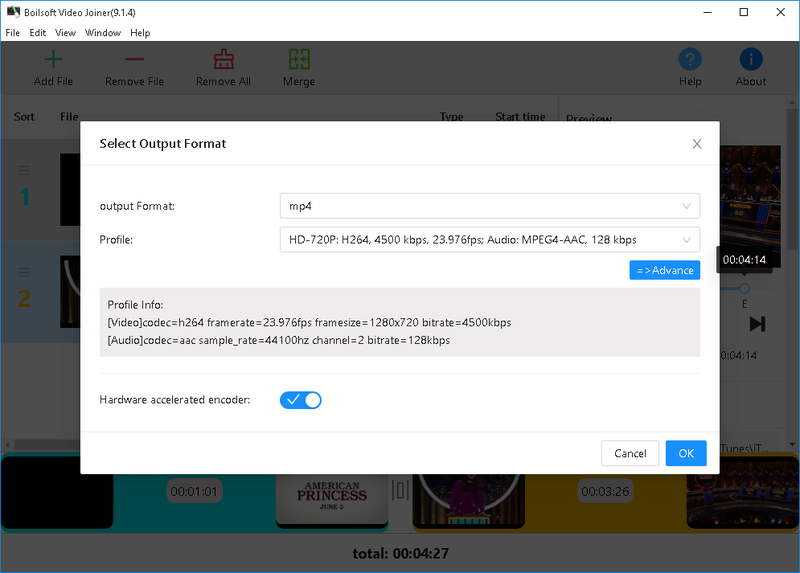 Output file quality is the same with source video/audio quality. 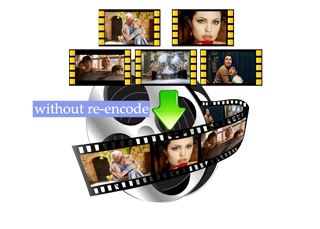 Encode Mode supports joining any format, any type files together and outputting to any format file as you like. Supports nearly all kinds of video formats. 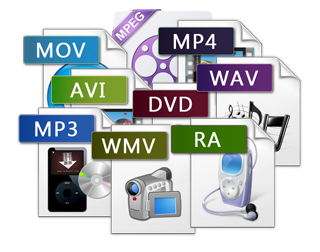 This video joiner supports so many video formats including AVI, DivX, MPEG-1, MPEG-2, MPEG-4 VOB, RM, RMVB, ASF, WMV, WMA, 3GP(.3gp, .3g2), MP4 (.mp4, .m4a, .m4v), MKV, FLV, MTS, MPEG Audio and Windows Media Audio. 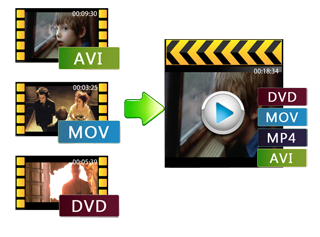 Create perfect customized videos by adjusting bitrate, aspect ratio, codec, frame rate, frame size, and much more. 1. How to merge same type same format files? 2. How to merge different type same format files? 3. 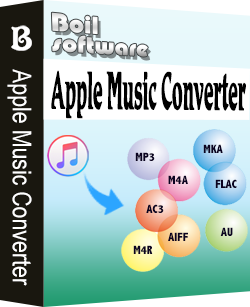 How to merge different formats files? 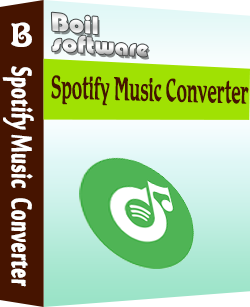 Download Spotify music as mp3 with free or premium account.